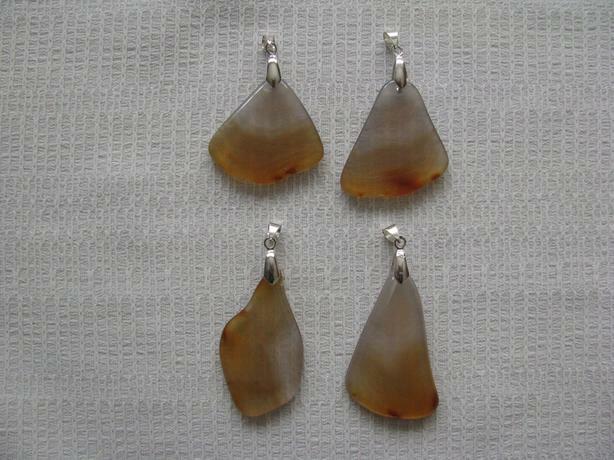 4 Agate pendants, translucent, beautiful, colour of honey. Not commercially made ( local artisan ). They are between 1 3/8" and 1 3/4" long.